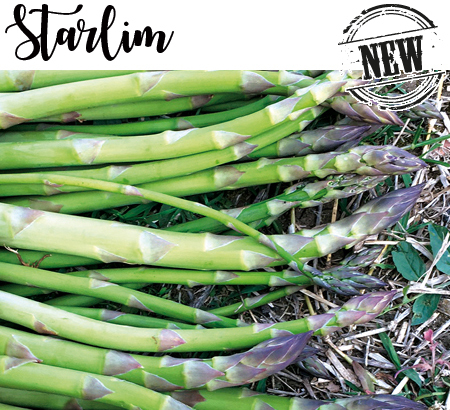 New HYBRID male, suitable for growing green asparagus in warm/Mediterranean climate zones. Starlim is an early variety with very high production potential. It shows SPEARS of an excellent thickness of a good quality with tight tips. More than 75% of the uniform product will be in the diameter class above 12mm. The variety has a vigorous foliage resistant to lodging and foliage diseases.